Train for greatness in this Germany jersey. When the stakes get higher, the best players hit the training pitch. 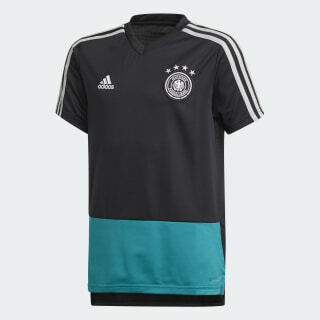 This junior boys' football jersey mirrors the one Germany's players wear while preparing for matches. 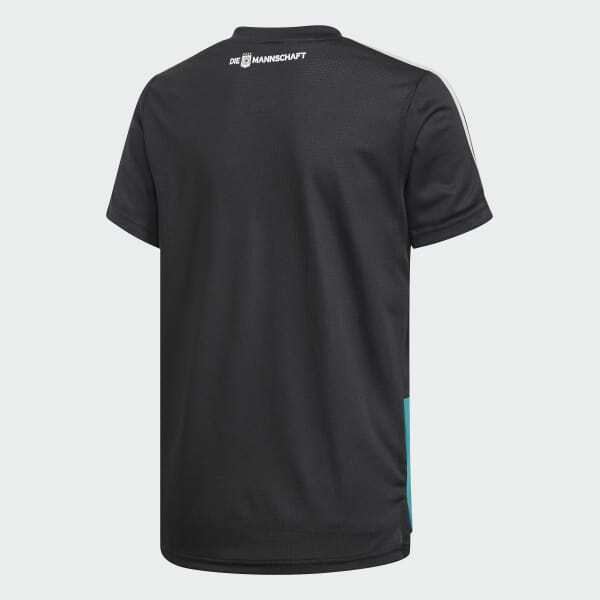 Made in breathable, quick-drying fabric, the slim-fit shirt has a ribbed V-neck, droptail hem and woven national badge.